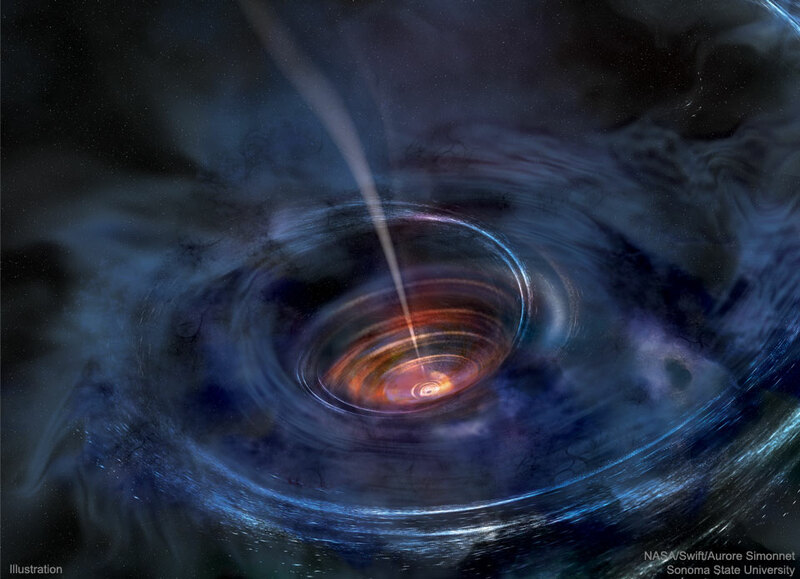 Explanation: What happens when a black hole devours a star? Many details remain unknown, but recent observations are providing new clues. In 2014, a powerful explosion was recorded by the ground-based robotic telescopes of the All Sky Automated Survey for SuperNovae (ASAS-SN) project, and followed up by instruments including NASA's Earth-orbiting Swift satellite. 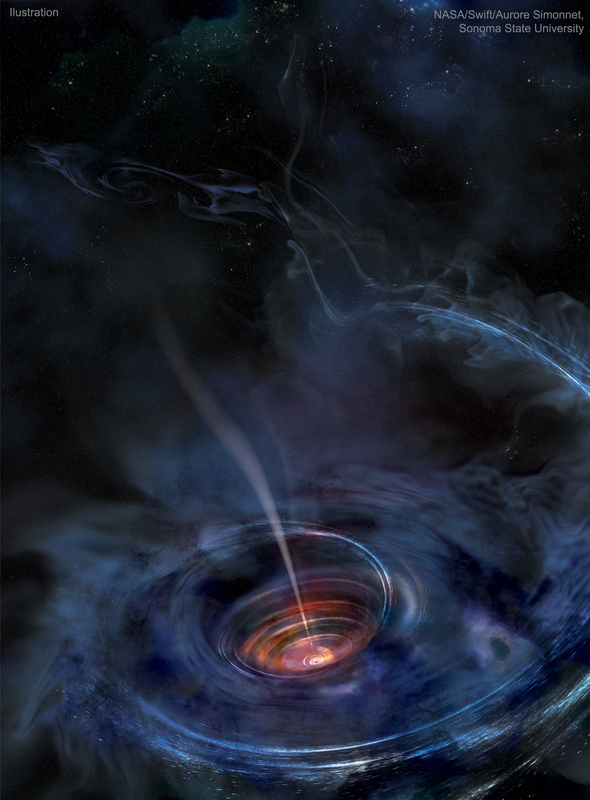 Computer modeling of these emissions fit a star being ripped apart by a distant supermassive black hole. The results of such a collision are portrayed in the featured artistic illustration. The black hole itself is a depicted as a tiny black dot in the center. As matter falls toward the hole, it collides with other matter and heats up. Surrounding the black hole is an accretion disk of hot matter that used to be the star, with a jet emanating from the black hole's spin axis.